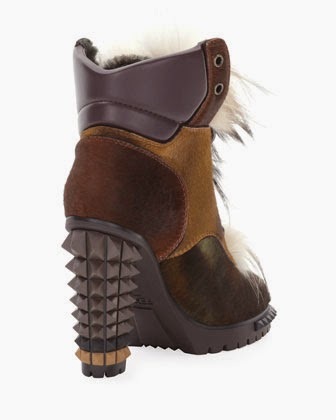 No Days Just Weeks: Spike-Heel Mixed Fur Hiker Boot… Just what the weather man ordered! Spike-Heel Mixed Fur Hiker Boot… Just what the weather man ordered! 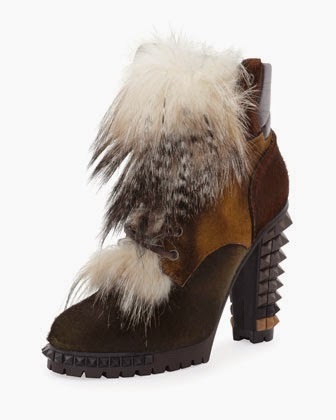 The only thing that makes this Milwaukee cold somewhat tolerable is the possibility of these Fendi boots on my tootsies. I know that there are people celebrating the greatness of spring… but not those confined to the state of Milwaukee… where its still FREEZING. These boots need to be on my feet… they make me warm and fuzzy on the inside.